Historia recovers some of her memories after touching Eren and realizes that she wasn’t alone as a child, but a dark haired young woman helped her and taught her to read. Rod tells her that woman was his daughter Frieda and she was Historia’s half-sister. Grisha’s sin was the killing of Frieda Reiss. He reveals that Grisha killed Rod’s entire family after he ate her. Gaining the Power of the Titans from Frieda. Grisha has been a mysterious figure in Attack on Titan. It’s stunning how monstrous he turns out to be or was he. Was the Reiss family really for humanity or for their own power? I’m betting their own power. We also learn how Eren received his powers, he ate his father. Knowing Eren this truth is going to weigh on him for some time even if it was an accident. 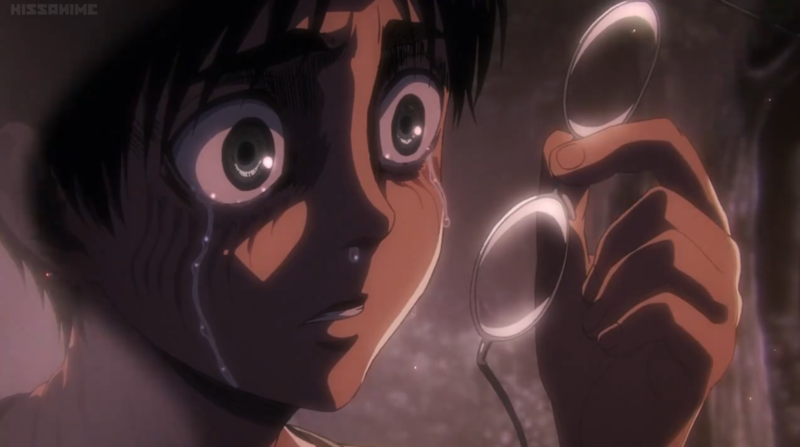 However, considering his fathers knowledge of titans, I get the suspicion that he wanted Eren to eat him. Kenny the Ripper interrupts them, telling them of the coup. Kenny seems to be subservient towards Rod, whom he calls King. Rod orders him to prepare for the Scouts to arrive. Meanwhile, we see how Zachary plans to treat the nobles, torture them. Basically he strips one naked and feeds him from the “bottom up.” It’s all quiet grotesque but I have no sympathy for the noble anyway, so I don’t care. It also turns out that Erwin’s father was right, the Royal family has the ability to erase memories. Of course certain bloodlines are immune to it’s effects. The nobles are telling all these secrets because they expect that no one will remember anyway. The scouts prepare to get Eren and Historia. Armin, Mikasa and the others contemplate what their plan should be. Kenny is considered by Levi to be their biggest obstacle. 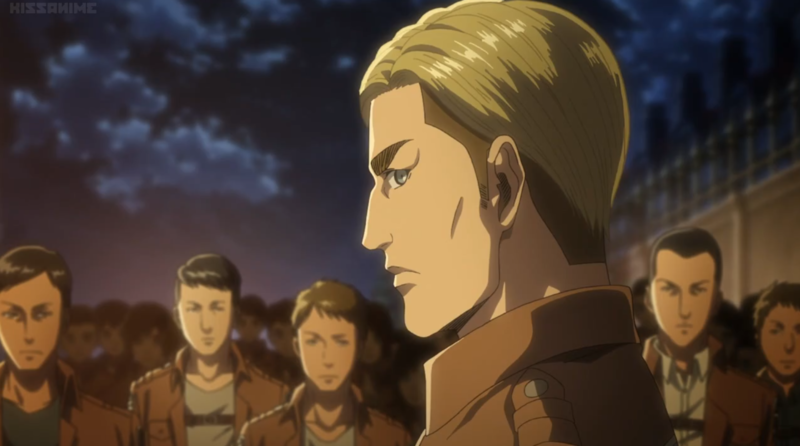 He states that it would be smart for them to consider Kenny the “enemy version of him,” but “deadlier.” We finally get more clarification on Levi and Mikasa relationship with Kenny. 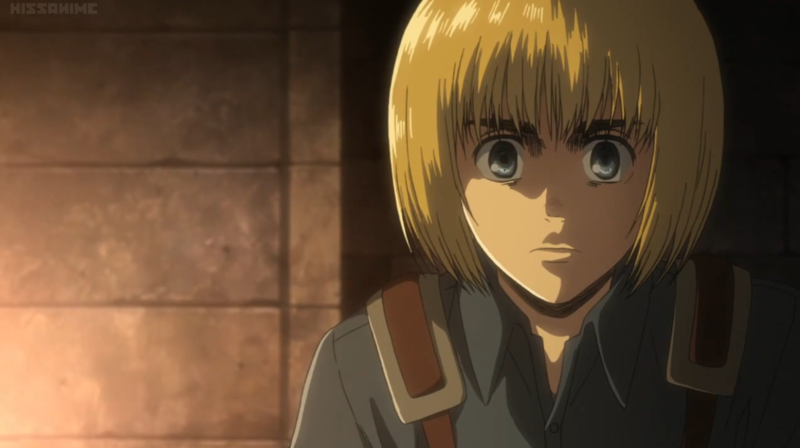 Mikasa reveals that her dad did tell her that the Ackermann family had been persecuted. Levi asks her about a moment when she felt a “hidden power,” she says that she had. Levi states that both himself and Kenny felt it as well. In a flashback from Kenny we see that the Ackermann family use to be the warriors that protected the King. Kenny’s grandfather tells him that the King does hate them, but he can’t control them. The Ackermann family and the Oriental Clan are immune to the King memory erasing power. This all of course makes sense. Mikasa, Levi and Kenny are clearly among the best warriors in the series, the fact that they are also immune to the King’s power does add some comfort. I be interested in seeing if Kenny and Mikasa face off. The scouts arrive at the chapel and prepare for a fight, meanwhile, the Military police are already prepared to greet them. 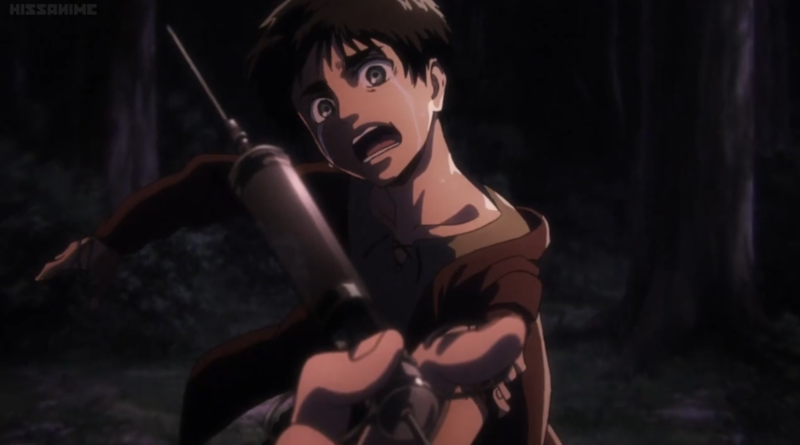 The series has scaled back on the action in favor of more world building, it appears that the next episode will see Attack on Titan return to that action. Which is great, I was starting to miss it. I’ve really been enjoying the world building and the fleshing out of motives rather than just running from one thing to the next. Still, I’m also really looking forward to the scouts going in and facing off against Kenny so I guess we’ll see how that turns out next week.